Spring Pasta with fresh season veggies. We have been here 3 times now. 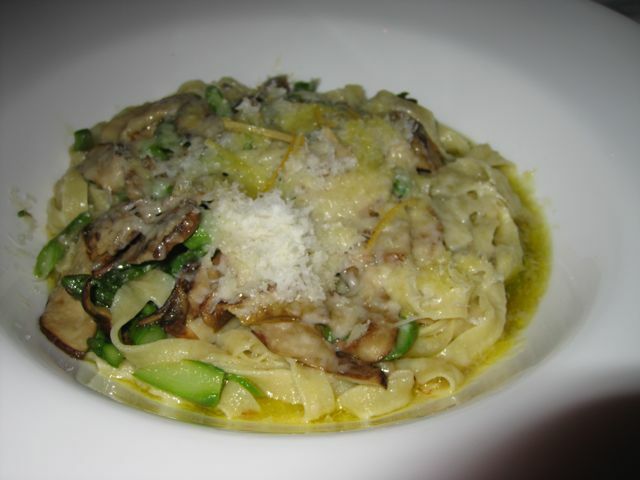 We came the first time in June and were able to experience some great spring food, like a spring pasta. My husband ordered this 3 pork dish. I wish I could remember all it had. Something like a pork loin, thick cut bacon, and a shredded pork. It was all together on a bed of pasta, like a spatzle. It was the best thing ever. Mine paled in comparison, and mine was pretty good. Fast forward 4 months and the season has changed and so had the menu. 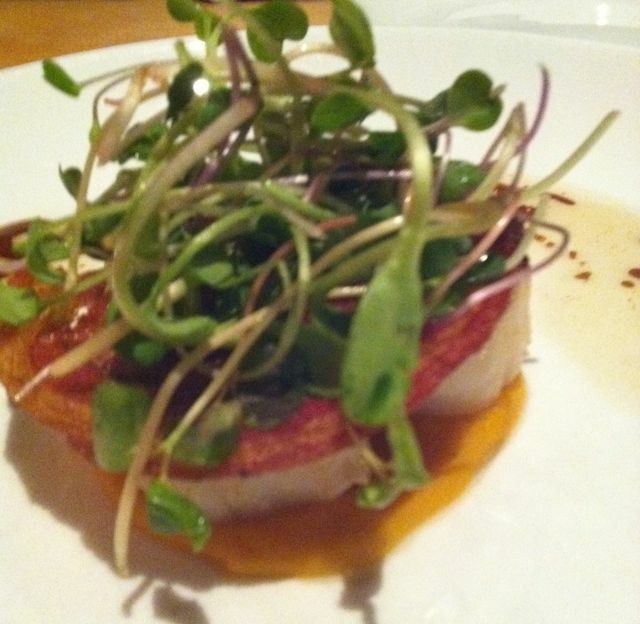 Our appetizer was Scallops that were atop a seasonal squash puree. They were perfectly tender and the puree was a great addition. I wish the picture was better, but the lighting was so bad. Scallops with a squash puree. 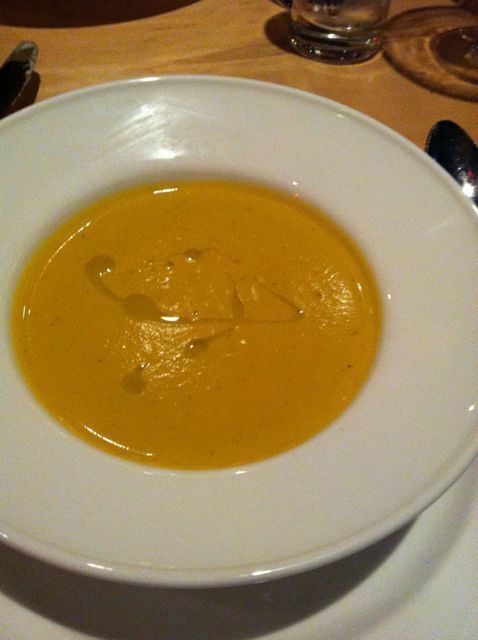 I order the Squash soup and the Beet Salad. I can’t tell you how good they both were. Both were big enough for a hearty meal. Plus they serve the best bread at dinner, so it was a complete meal. I didn’t intend to order just starters, but when you can’t decide between 2 favorites you just go for it. Both are time consuming, so I like ordering them out. 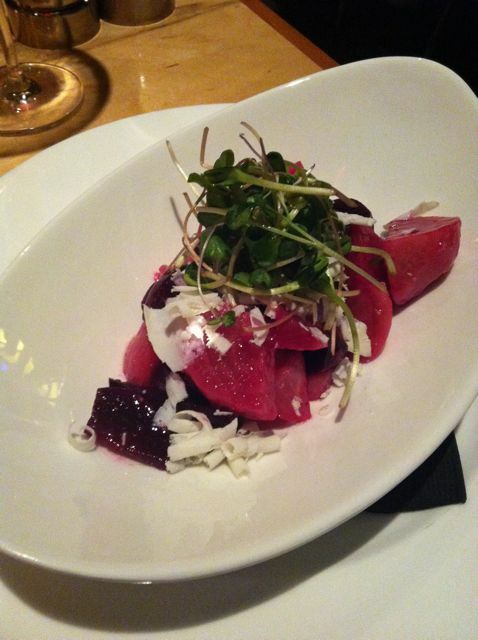 Beet salad from Celilo. It was much bigger than it looks. 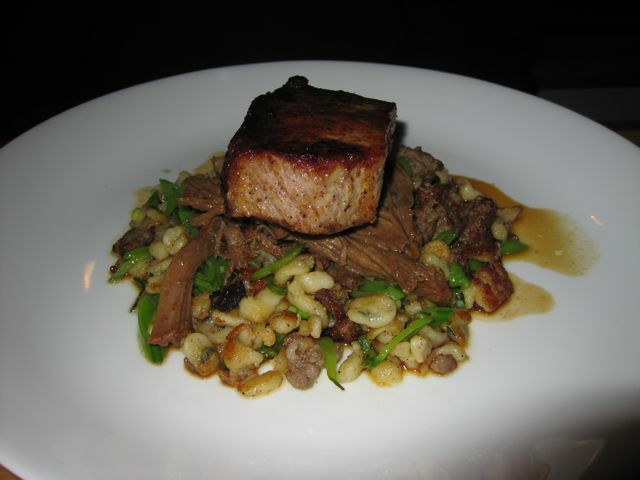 My husband ordered the Pork dish, which was also the special of the night. It was the most tender pork ever. He didn’t even need a knife and it was served with gnocchi (it was a different kind like garbanzo bean gnocchi, I need to write this stuff down). The sauce it was served with was a perfect. Pork special. 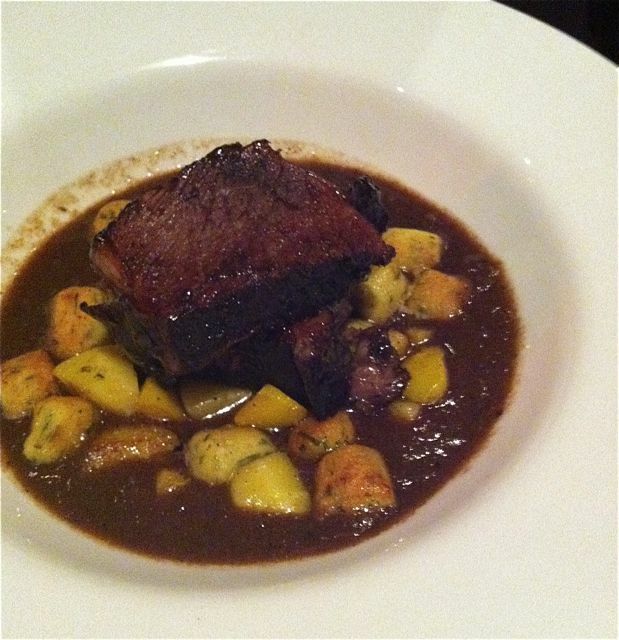 Tender pork with gnocchi. The next day on our way out of town we decided to stop in for lunch because the burgers on the menu looked amazing. I apologize right now for not taking pictures. These burgers are thick and delicious. They come on a soft kaiser bun. I decided to step out and try the veggie burger. It was a black bean burger and it was not good. It definitely needed a sauce to go with it, but it was the disappointing. BUT it was the only disappointing thing we have ever ordered at this restaurant. This is a place we will continue to visit as we pass through or on our next getaway. Atmosphere is romantic and cozy. Looks like even a place for groups. Pricing was a good for what you get. At around $20 an entree you were wowed with presentation, eating fresh seasonal food from local vendors and getting perfect portion sizes. They have cocktails, a few beers on tap and a good wine selection. Service is always great here. They waited on a table that was sat before us and she came over apologizing. It didn’t take that much longer for her to get to us, but I liked that they saw it as a mistake. Located in downtown Hood River right across the street from the Hood River Hotel.